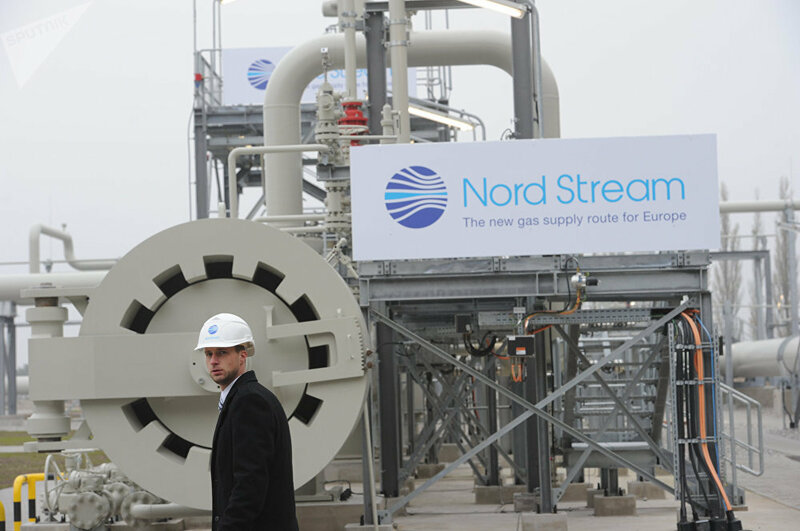 The US push against Nord Stream 2 is not primarily about the US endeavor to grab the gas trade for itself, says Jon Hellevig, geopolitical analyst and managing partner of the Awara Group, a leading business administration and outsourcing firm in Russia. "By accepting that idea, we would be ascribing too many normal human intentions to the Americans, similar to the false idea that the Iraq war was about oil," the analyst told Sputnik. "No, what's behind this is the much more nefarious driver of Russia containment. The American ruling establishment simply wants to isolate Russia from the rest of Europe by all means. Cutting off the gas trade — in addition to denying Russia the revenue — is part and parcel of the US strategy to resurrect a new Iron Curtain across the European continent, to frustrate all ties — economic, social and cultural — with Russia." Together with its close European allies, Washington has intensified efforts to disrupt the endeavor dubbed "a new hybrid weapon" aimed at the European Union and NATO by Polish Prime Minister Mateusz Morawiecki. The US, Poland, Ukraine, the UK and the Baltic states are actively demonstrating their opposition to the project. Switzerland and the Netherlands have seemingly followed suit by freezing Gazprom's assets in accordance with the Stockholm arbitration court's February 28 ruling. Reportedly, Nord Stream AG and Nord Stream 2 AG have also received an order. Ukraine's motivation is clear: It fears the loss of transit money for gas flowing from Russia to Europe. Having become operational, the Nord Stream 2 pipeline will thwart the importance of the Ukrainian route. "I think this question of continued use of the Ukrainian pipeline is just an argument thrown into to the negotiations as a sweetener. 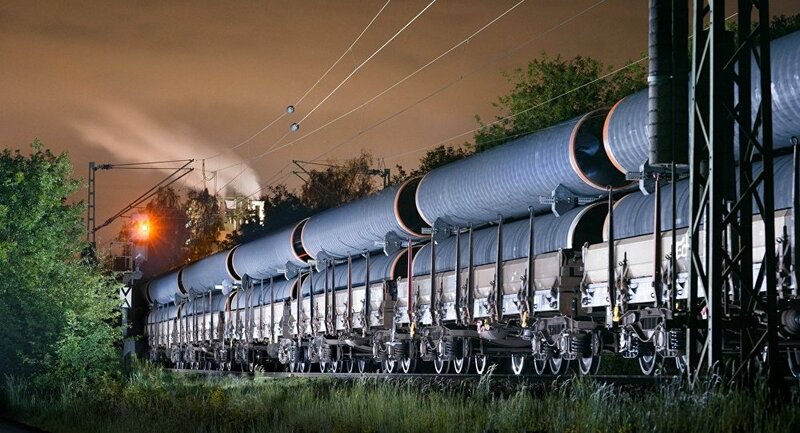 I don't see it having much relevance in the long term," Hellevig suggested, commenting on the Kremlin's earlier remark that Russia is ready to maintain gas transit through Ukraine. Germany, which is due to benefit from Nord Stream 2 the most, continues to push ahead with the project. Prior to the grand opening ceremony of the Nord Stream gas pipeline in the German town of Lubmin. Similarly, European leaders' vow to maintain the implementation of the Joint Comprehensive Plan of Action, commonly known as the Iran nuclear deal, will be relevant as long as it meets EU member states' economic interests, according to the businessman. 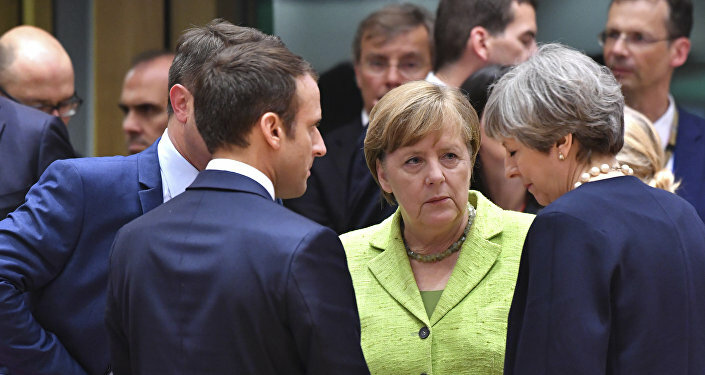 France, the UK, and Germany's unwillingness to join Donald Trump's anti-Iranian measures "might indeed be connected with their incipient bilateral (EU — US) trade disputes," Hellevig said, presuming that "the EU is now trying to fortify its hand by flashing the Iranian card." "I doubt the EU would manage to save the Iran nuclear deal, and I even doubt that they would be trying it in earnest. Considering the EU's decade-long role as a silent partner in US foreign policy — kowtowing to all American hegemony initiatives — I just don't see it coming," he emphasized. However, there could be something more in the "public defiance of the US by its vassals," according to the analyst. "Looking at this yet more cynically, one cannot, however, discard the possibility that the EU position merely reflects a split among the American elites, with the EU leadership siding with its transatlantic allies against the other faction," he pointed out. There is more in Donald Trump's pressure exerted recently on the Islamic Republic of Iran than meets the eye, according to Hellevig. "We should be quite candid about what is behind Trump's crackdown on Iran," the analyst said. "Obviously, it is a question of pleasing the pro-Israel lobby. Ever since emerging as the Republican candidate to contest the presidency, Trump has had his back against the wall as the American establishment has waged an unprecedented public fight against him on all fronts with fake news and sham investigations about alleged Russia collusion." In this situation it was the pro-Israel lobby within the US establishment "that has offered Trump some relief, with one sole condition: Do exactly as we say regarding Israel and Iran," he suggested. "So, that's what we have: Trump grasping at the anti-Iran straws. The Israeli PM Netanyahu has been very vocal in his aggressive stance against Iran, so there is no doubt to whom Trump is catering here," Hellevig pointed out. Meanwhile, Israeli Prime Minister Benjamin Netanyahu's attempts to convince the European signatories to the Iran nuclear deal to turn their back on Tehran have not borne any fruit: Although Berlin, London and Paris expressed serious concerns about Iran's ballistic missile project and what they call the Iranian expansion in Syria, they reiterated their commitment to the JCPOA. The views and opinions expressed by Jon Hellevig and Ekaterina Blinova are those of the contributors and do not necessarily reflect those of Sputnik.